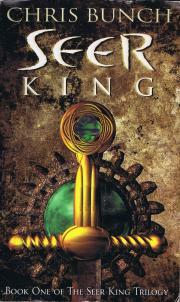 A magnificient fantasy epic of empire, power and magic begins. Numantia is a dying empire, the frontier rules by outlaws, the provinces by rebels, the citizens by discontent. Ancient forces of dark magic grow everywhere, ignored by the Empire's rulers. For two people it is a time of immense possibility and infinite danger. Hotheaded young cavalry officer Damastes and the wizard Tenedos were supposed to die in a mountain ambush. But their enemies underestimated the amazing powers of the seer and the bravery of the soldier. As they begin outwitting usurpers and necromancers, word spreads that theirs is a path of destiny. For Damastes, it will lead to glory and love. For Tenedos, it points to unimaginable heights of ambition. 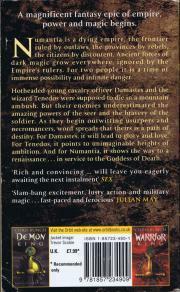 And for Numantia, it shows the way to a reaissance... in service to the Goddess of Death.